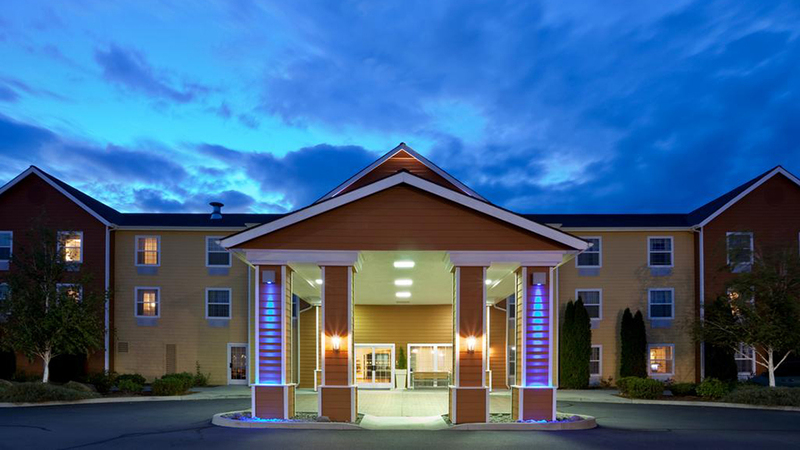 Just off Highway 97, the Holiday Inn Express’ address north of Bend puts business travelers outside the hustle and bustle, but still less than five miles from Les Schwab Amphitheater, and is a comfortable place for families who want to combine convenience with some elbow room. For those inclined to include rock climbing with their visit, this hotel is the closest one in Bend to Smith Rock State Park. With free high-speed, wireless internet access and a 24-hour business center, it’s easy to stay connected with clients and prepare presentations if you’re traveling for business. If you’re traveling for pleasure, Mount Bachelor and the Deschutes River create a paradise for year-round recreation. The Cascade Village Shopping Center is just one mile away for all the basics you need, shopping and a selection of restaurants. “Stay Smart” with the Holiday Inn Express Hotel Bend and start each day with the free, hot Express Start Breakfast Bar before you head out on your adventures. Let our knowledgeable staff guide you to the area’s excitement, or sleep in late and enjoy the pool.